Happy Little Pineapple is the third happy little food. 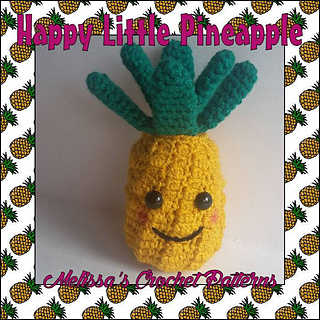 Check out Happy Little Corndog and Happy Little Taco which are both free crochet patterns. 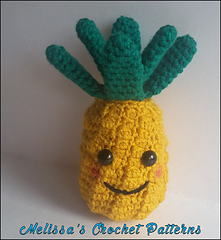 Happy Little Pineapple measures 5 1/2 inches. Size will vary depending on the kind of yarn, crochet hook, and amount of stuffing used.